Washington Wizards star SG, Bradley Beal, has apparently had enough of the dysfunction in the Wizards organization. Chris Sheridan has indicated that a source has said Beal wants out of Washington immediately. According to some, Beal and the Wizards have underachieved during his tenure. Being paired with John Wall (1st overall pick in the 2010 draft), Beal who was a 3rd pick himself, has been unable to get the Wizards past the 2nd round of the playoffs and only look to be going backwards in recent years. Now with players anonymously reaching out to media personnel to discuss in-house turmoil and the team performing poorly this season, it seems that Beal feels it’s time to leave the only NBA team he’s ever known. 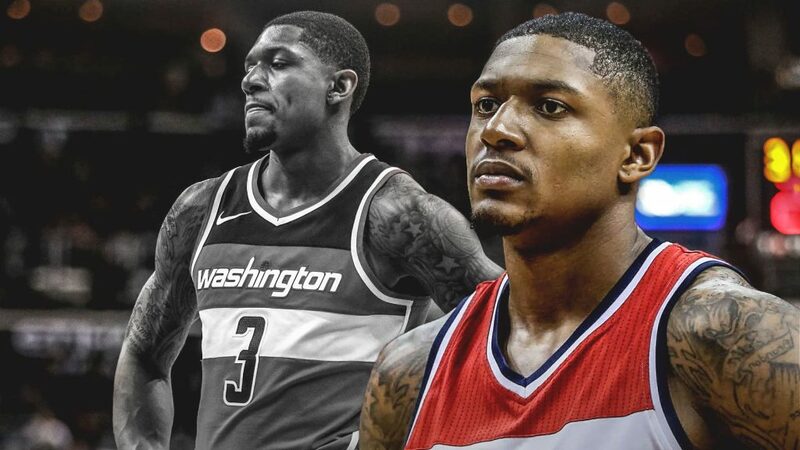 His agent has denied that Beal has requested to be traded from the team but that seems to be the obligatory damage control statement as things have been anything but pleasant in Washington so far this season. Beal is a solid player but he is on a max contract and is still relatively young. If any team does trade for him, they will undoubtedly expect him to be a franchise player considering that they will have to give up considerable assets to acquire him from the Wizards. I’m not sure if he is capable of being “the guy” on a team and the backlash from being unable to live up to expectations as the team leader may be unpleasant to say the least, I’m sure he feels he can successfully step into that role. One thing for sure is that he doesn’t want to play in the Nation’s Capital anymore. With the front office letting it be known that any and everyone is available in trade talks, Beal is more likely to be moved by the deadline as John Wall’s massive contract will kick in next season and few teams have expressed interest in trading for him.